Well that's a different error, but still not good. Does your user have super admin permissions? Yes, I'm Super Admin. This is the same error I've had all along with saving....at least since 1.3. I checked my previous posts and the message does appear to be the same. PM or email when you get a chance. Thanks. I have been working around this via direct changes in the DB. curious if you ever had a chance to update this? I've been doing the same, just directly updating the database tables for it to work. Just realized that I haven't been getting emails for replies to my topics. I'm not experiencing the issues so I'm having trouble finding a resolution. I'm going to reach out to someone shortly to try to do some testing before releasing another "fix". Sorry for the delay. First of all, I would like to say, this plugin is awesome and is really helpful for my NOC team. This saves a ton of time for us. Just wondering if there a way to make this screen refresh it self every 5 mins or so and also when it refreshes, it runs the queries in the backed and updates the values on the Dashboard? Could you please let me know if it's possible or not? Once again, Thank you so much ! It actually does update every 5 minutes, getting fresh values. The queries themselves are not updated, but the values are refreshed by checking the previous queries. With the latest version of labtech and the latest version of the plugin I am still getting an error when trying to modify the items in the configure section. Anyone have a solution to this? I've had some other priorities come up, but I do have some plans to dramatically change the OD, which will include fixing this error. It's not on the back burner, but it's not at the front of my list either. I'll be sure to post her when the update is available. Thanks! This is really nice and I appreciate the work you have put in. I was convinced to get this updated, so I did. I just downloaded and installed the plugin. 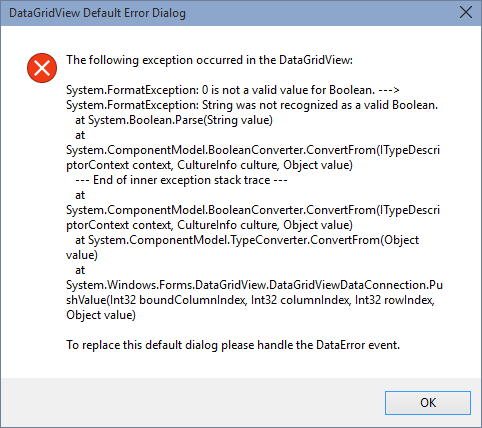 How do I import the sql file so that it setups up the plugin defaults? With LT open, go to tools->import->SQL file. Select the file and it will import. You can also do so from SQLYog, but this method may be easier for you. Thanks so much. That was the first sql script to import. Never realized that option even existed. BTW, the dashboard is nicely done. Updated the picture of the config screen. BTW: I've got confirmation that this is working properly for several people that it wasn't working for. I can confirm for you and others that the previous issues have been resolved. This does work on LT10 as well for those wondering. Woot! Got an update available. It's a minor change, but it's useful nonetheless. -Export to Excel no longer requires Excel. It will also export to a file rather than simply opening Excel. Amazing plugin, was just about to install dashing. This is no less than 50x easier. Any plans for having multiple boards? Dashing is an awesome, full blown multiple device, rich featured dashboard tool. This one is significantly simpler, but that's what I was looking for. The road map does include multiple dashboards as that has been requested the most. I'm not sure quite when, but I'll definitely get it done eventually. So anyone have any "widgets" they want to share. Who's using which ones the most? Anyone know how to filter each query to not included counts from devices that have been added to the internal monitors disabled computers list? Some welcome changes there tscheuing. Glad to see you back! Great update. Next time around any chance you can add some permissions? We have a lot of customers who can access their own systems but I cannot hide this dashboard from them. vkent: It's on the road map now. First off, this Plugin is amazing! Thank you very much for your efforts. After upgrading to Labtech 10, I decided to update to version 2.0 of this plugin. I seem to be having an issue where right after I implement it, it works great. But when I come in the next day the dash opens with a blank window for my other engineers. It still works fine for me, however. I believe this is due to permission issues as I am the only engineer with super admin permissions. I had no issues before upgrading to 2.0. I am trying to determine if this is an issue with my LT 10 upgrade, or with the plugin itself. Any insight would be greatly appreciated.